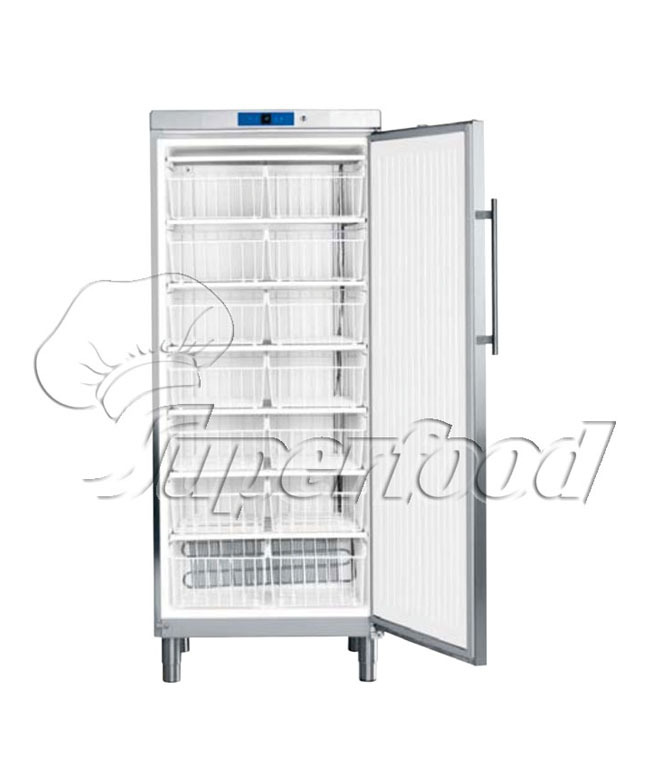 Large quantities of frozen products can be reliably stored in the Gastronorm ProfiLine freezers. The temperature can be set in a range of -10 °C down to -35 °C at an ambient temperature of +43 °C. High refrigerating capacity in conjunction with an interior designed for optimal use ensure made-to-measure, long-term freshness. Liebherr’s commercial freezers enable even large quantities of frozen food to be stored safely and economically: the static freezing system can be set to temperatures of between -14 °C and -28 °C.